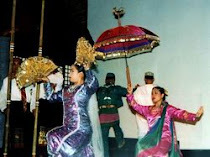 All about the Philippines rich culture, literature, dances, folk songs, folk tales, heroes and famous people who shaped the nation as it is now. 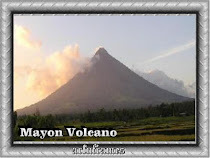 facts and information about the Philippines. You are free to write your question for things that you do not find in the blog. I will try to look for them for you. Go to his page where you can write your suggestion or question in the comment box. The comment box is moderated to filter spam and unwanted remarks.. It will take a while before your question appears in the comment box. YOu do not have to type it twice. The information from this website are for educational purposes only. There is no guarantee or warranty for the accuracy of the contents . When you use the website, you agree not to hold the owner liable for the inaccuracies that you may find in some data. The links are for references only and not as endorsements of other websites related activities or business. 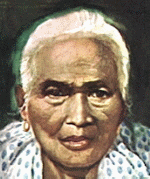 Known as Tandang Sora, Melchora Aquino, the Mother of the Revolution was born in Banilad, Kalookan City, on January 6, 1812 . She was already old when the revolution broke out in 1896. She had very little education but she was literate. She was aptly called the "Mother of Katipunan." When the Spaniards learned about her activities, they arrested her and exiled her to the Marianas islands. When the Americans took possession of the Philippines in 1898, Tandang Sora, like other exiles returned to the Philippines, poor and aging. For a time, she lived with her daughter Saturnina. On March 2, 1919, she died at the age of 107.